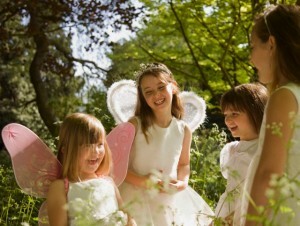 Would you like to see fairies come to life at your party? 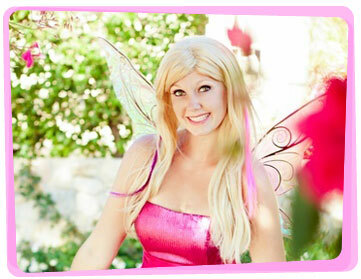 When you hire a fairy from Yabadoo Kids parties you’ll get a sweet and spritely entertainer to make your next event in Perth, something beyond your children’s wildest dreams! We have the best fairy party ideas and have created a perfect recipe for your fairy party – one cup of magic, three pinches of games, a dash of storytelling, five bunches of balloon twisting, two spoons of face painting and a basket of laughter and joy. We offer laugh a minute entertainment for a wide variety of birthday parties and functions. 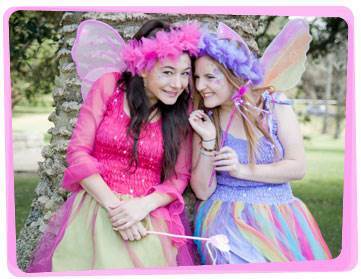 There’s no themed event too unusual or different for our party fairies in Perth. Searching for fairy game ideas to play before your entertainer arrives? Cut out green poster boards before your kid’s birthday party in Perth. This will serve as the lily pads. Your play area is called the pond. Your fairy entertainer divides the children into two teams. The first player crosses the pond by hopping from one lily pad to another. The goal is to not fall down or step on the pond. Once the first player has crossed the pond, the second player in line goes next. The team who completes the fairy race first wins! 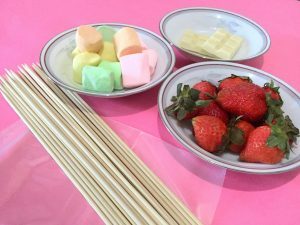 Do you also need a fairy food idea for your daughter’s party? 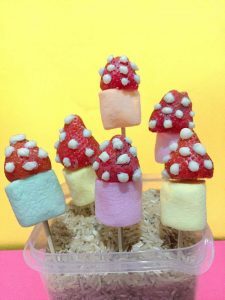 Give your fairy party guests a taste of how it is to be in Fairy Land by making these foolproof strawberry toadstool treats! Slice off the leafy part of the strawberry. Stick the wooden skewer into the marshmallow. Leave just enough space to add the strawberry on top. Take your zip lock bag and put the melted white chocolate in it. Cut a tiny hole on one corner of the zip lock and use it as a piping bag. Squeeze dots of chocolates on the strawberry to make it look like a mushroom. Once the chocolate has set, your “toadstools” are ready to be eaten! 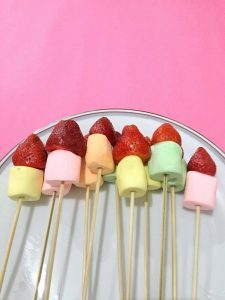 This treat is so cute that the children might actually want to eat fruits without them knowing it! Do you need fairy decorations and party supplies? Visit We Like to Party at Unit 2, 2 Monash Gate (cnr Solomon Rd), Jandakot WA. 6164 for awesome finds!